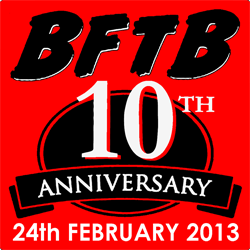 BFTB 10th Anniversary - Ironforce Audio Adventure- BLOOD FOR THE BARON!!! Justin Scott, the creator of Operation Reborn has released the first part of this amazing Action Force Audio Adventure - Ironforce! that was / is cool ! Excellent Justin. When do we get part 2? Lovely work, well done chaps. I can imagine that took some putting together. The characterisation along with the music and brilliant sound effects really worked well. The quiet section that went from whispers to gunfire was excellent! Really got drawn into it.